Add a little shimmer to her step with these fancy cowgirl boots from Roper. 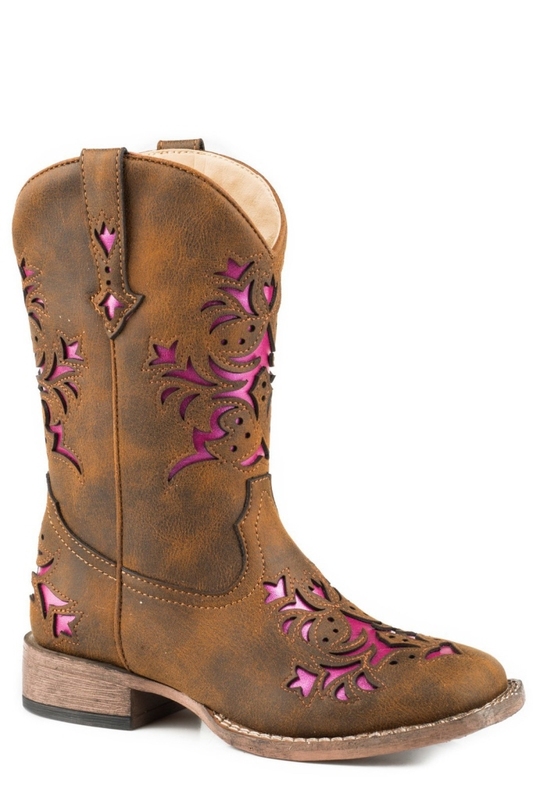 Featuring a decorative laser cut design with pink metallic inlay, these boots are just what every little cowgirl wants. And, with a padded insole and flexible outsole, she's sure to stay comfortable no matter the adventure.